Lord Ganesha is darling of masses. He brings the people of all the religions, castes and creed together. On the auspicious day of Ganesh Chaturthi, Ganesha Stapana (or Establishment) is done at home or community gatherings during the Shubh Labh or Amrit Choghadiya. The celebration of this festival is done by worshiping the Lord in a special way for a day and a half, 3 days, 5 days, 7 days or 11 days depending on the family or community tradition. On the last day, the Ganesha idol is taken out in a procession to be immersed traditionally into a pond, any local water body or in the ocean. During this festival, Ganesha is offered a variety of food items. Modak and Laddu are the favourite foods of our beloved Ganesha. 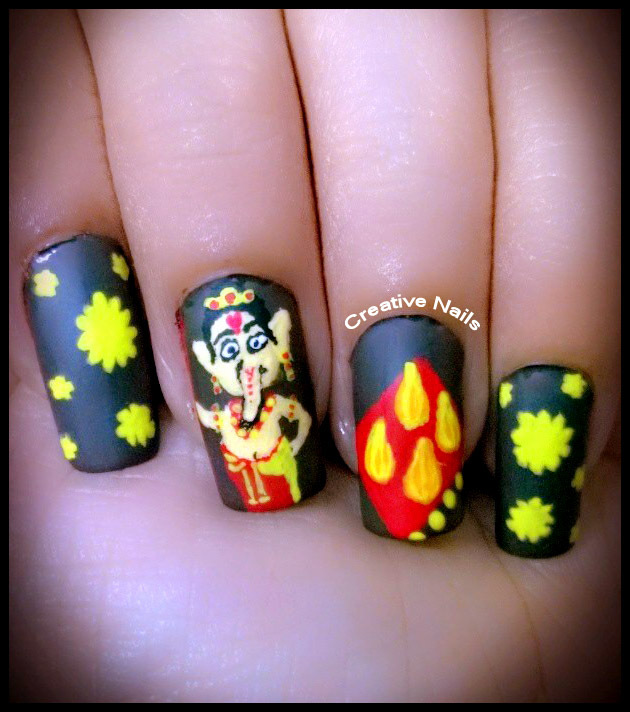 This is the first Ganesh Chaturthi of Creative Nails. Following the tradition, Creative Nails has bought Ganesha on nails and prepared Modak for bhog or prasad. Plaster of Paris (POP) used for making the Ganesha Idol and the toxic colors used to paint the idols cause great harm to the quality of water and the surrounding ecosystem. We request you to use ECO FRIENDLY Ganesha Idols. Ganapati Bappa Moraya, Mangalmurti Morya !! 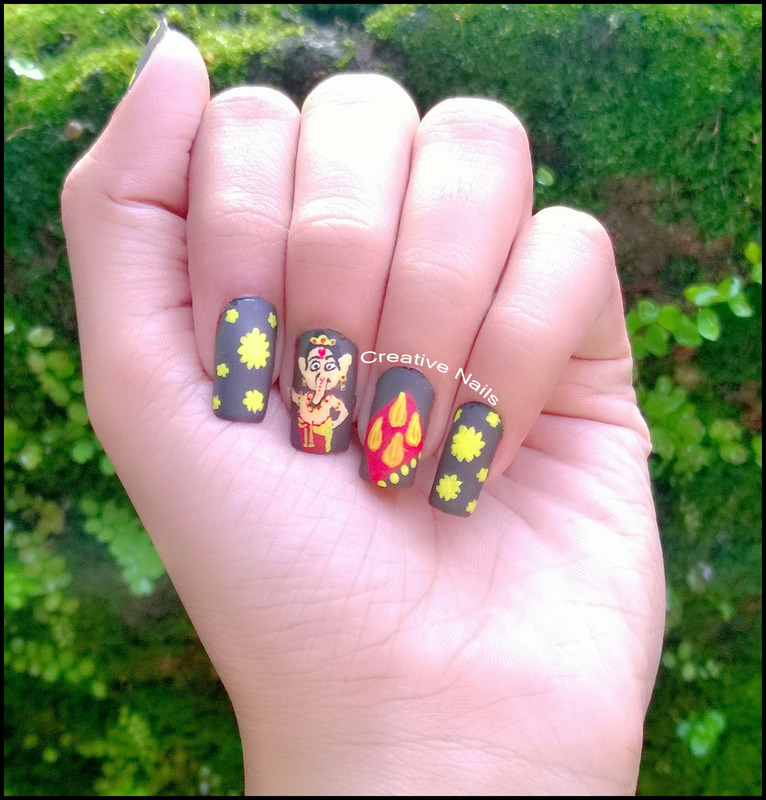 ← Ganesh Chaturthi Nail Design! Too cute 😀 Shiva next? Thisis great you did a fabulous job! this mani reminds me of that song “oh my frnd ganesha” very cute nail art ! :-):-) Thank you 🙂 Even I remember same!